You are here: Home / Philanthropy / Will County Bar Association partners with the Northern Illinois Food Bank to help provide food to local families in need. Will County Bar Association partners with the Northern Illinois Food Bank to help provide food to local families in need. On November 28, 2018, the Will County Bar Association’s Service Committee provided its members with an opportunity to volunteer at the Northern Illinois Food Bank’s South Suburban Center in Joliet. The Northern Illinois Food Bank is a member of Feeding America and gathers, stores, organizes, and delivers food to pantries across thirteen (13) counties in Northern Illinois. 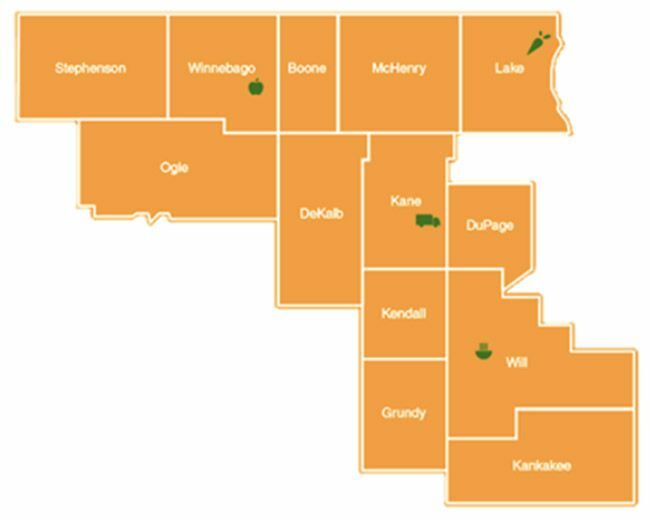 The Northern Illinois Food Bank’s service area, according to its website (https://solvehungertoday.org/about-us/our-mission/) (accessed December 14, 2018, at 9:54 a.m.). Over the course of approximately two hours, attorneys, judges, and their families helped the Food Bank’s staff organize, sort, and package a variety of foods for shipment to food pantries the next day. 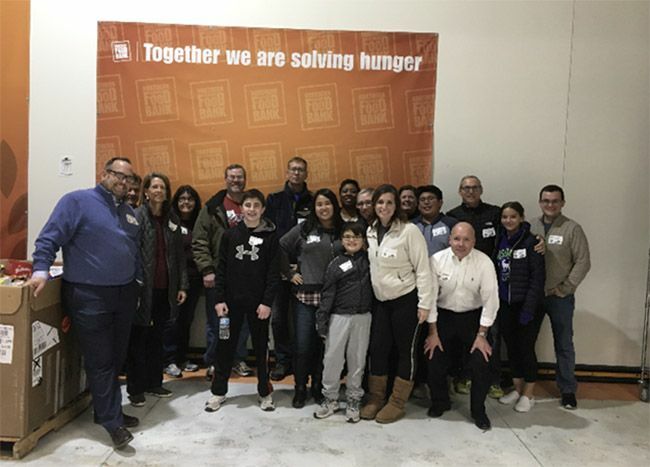 Attorneys, judges, and their families gathered for an enjoyable evening of volunteerism at the Northern Illinois Food Bank’s Southern Suburban Center in Joliet.